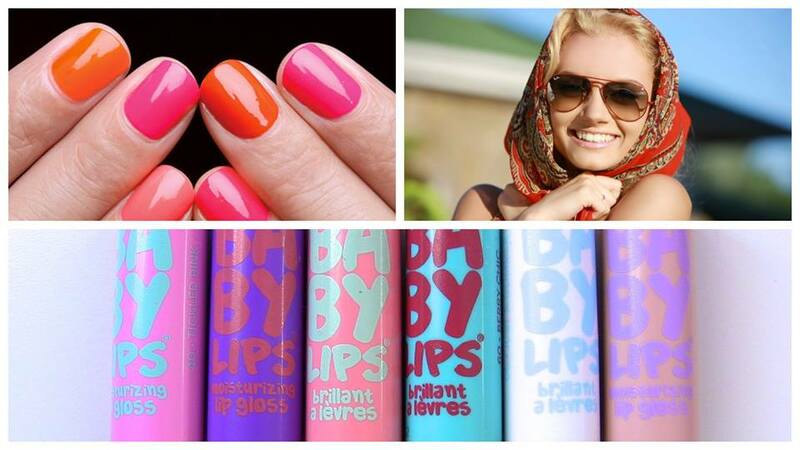 This week in Bollywood has been quite a saucy one, and we just can’t wait to give you our quirky update on the same. So, here you go. Trust this man to charm his way into anyone’s heart, be it Indian audience, or international. And something similar happened when he was invited at this film festival. From almost being offered ‘Rush Hour’ sequel to live video chatting with Jackie Chan and even making host Bret Ratner do ‘lungi dance’, the superstar did all. 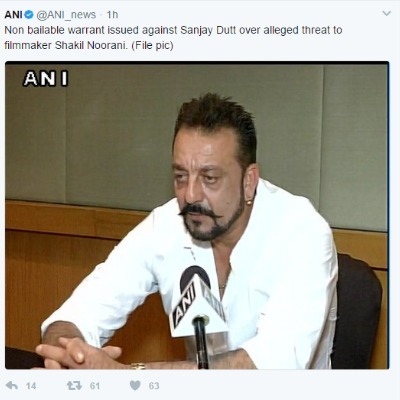 Seems like Sanjay Dutt is not yet free of troubles as far as his tussle with the law is concerned. A non-bailable warrant against the actor has been issued for duping a filmmaker of his money on pretext of doing his movie and backing out later. Charges of threat have also been levied. Let’s see how this case shapes out to be. Cricketer Virat Kohli has been dating actress Anushka Sharma, and now, the two are not hiding away from paparazzi. Recently, Virat, who is playing in the ongoing IPL, injured himself. A concerned Anushka went all the way to Bangalore to spend time with him and tend to him. As if this was not sweet enough, Virat changed his Instagram DP to the one where he was with Anushka, when the two attended Yuvraj Singh and Hazel Keech’s wedding. Too cute, these two! Here’s the wrap up folks. See ya next week with some fresh juice from Bollywood. 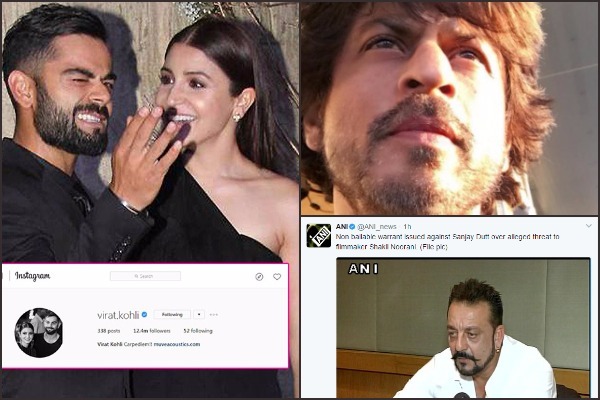 Previous : Abhay Deol Slams SRK, Deepika, Shahid For Endorsing Fairness Cream Ads, Sonam Kapoor Tries To Troll! Next : Gundagardi Hai Bus: Sonu Nigam Slammed For His Controversial Tweets Against Muslims and Azaan!